“Constructive dismissal” means a situation where the employee has no choice left but to tender his resignation due to the actions, decisions or policies imposed by the employer on the employee resulting in a breach of contract by the employer. There is no direct dismissal by the employee in a constructive dismissal. Under Section 20 of the Industrial Relations Act 1967, an ex-employee may make a representation to the Director General for Industrial Relations if he considers that his employment was dismissed without just cause or excuse by his employer (this includes constructive dismissal). This representation must be filed within 60 days from the date of dismissal. In the event reconciliation between parties is unsuccessful, the Minister of Human Resources may, if he thinks fit, refer the representation to the Industrial Court for determination. The ex-employee may seek for reinstatement of his employment or compensation and backwages of up to 24 months (or 12 months for probationers). In the Industrial Court, the employee will have to prove, amongst others, that there was a fundamental breach by the employer which caused the employee to resign. Grounds for constructive dismissal include significant reduction of salary and benefits, demotion, change of job scope and duties, and transfers to different/unrelated departments in bad faith. The Industrial Court hearing is typically conducted in the manner of a trial whereby the parties call witnesses and produce documentary evidence to support their case. Advising employers/employees on their rights, remedies and the strengths of their case. Drafting and assisting employees in lodging representations of constructive dismissal to the Director General. Drafting and negotiating amicable settlements for employers/employees prior to or even in the course of Industrial Court proceedings. Representing employers/employees in Industrial Court proceedings. 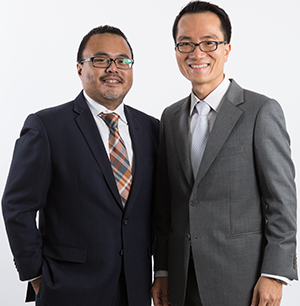 Advised and represented a property investment group in a dispute its purchase of shares worth RM25 million in a company owing valuable land in Cameron Highlands. The claim in the High Court involved the rectification of the share register to have the new share certificates issued in favour of the purchaser and to replace the directors of the target company. Successfully defended two related companies with an annual turnover of RM7,000,000 and its directors in a minority oppression claim at the High Court and the Court of Appeal. Successfully opposed two ex-parte applications to injunct an extraordinary general meeting to remove a director of two related companies and a claim for wrongful removal of the director at the High Court and the Court of Appeal. Acted for a group for shareholders/investors and successfully obtained an order for pre-action discovery to formulate a claim for fraudulent misrepresentation against two companies and the directors of the companies. Acted and represented a company director in a matter involving financial assistance pursuant to section 67(1) of the Companies Act 1965 and negotiated a favourable settlement on behalf of the company director.